The best way to get the bathroom you want is to hire the right St. Petersburg bathroom contractor. 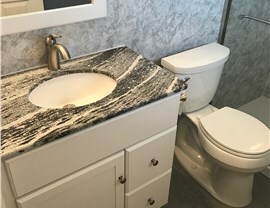 Luxury Bath of Tampa Bay has over a decade of experience serving residents throughout the area by offering complete bathroom remodeling services. 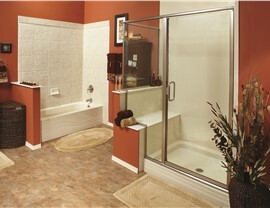 Our St. Petersburg bathroom remodeler know bathrooms inside and out. 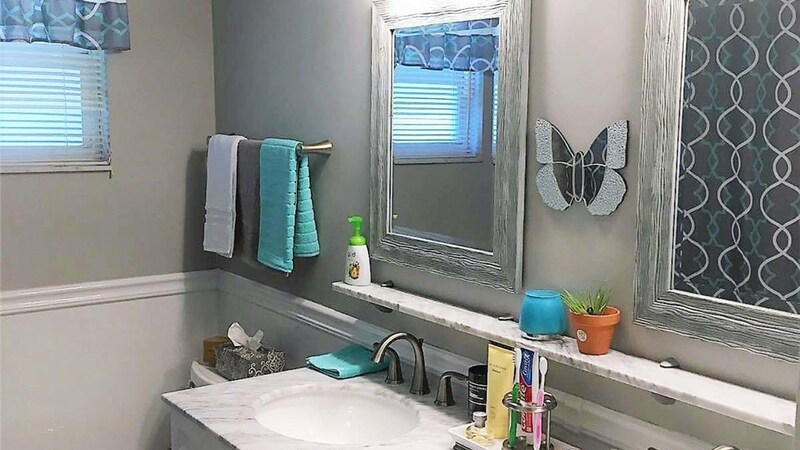 We offer everything from one-day remodels that feature durable, mold- and mildew-resistant acrylic that is imbued with Microban technology to vanity cabinets, flooring installations, drywall, and much more. 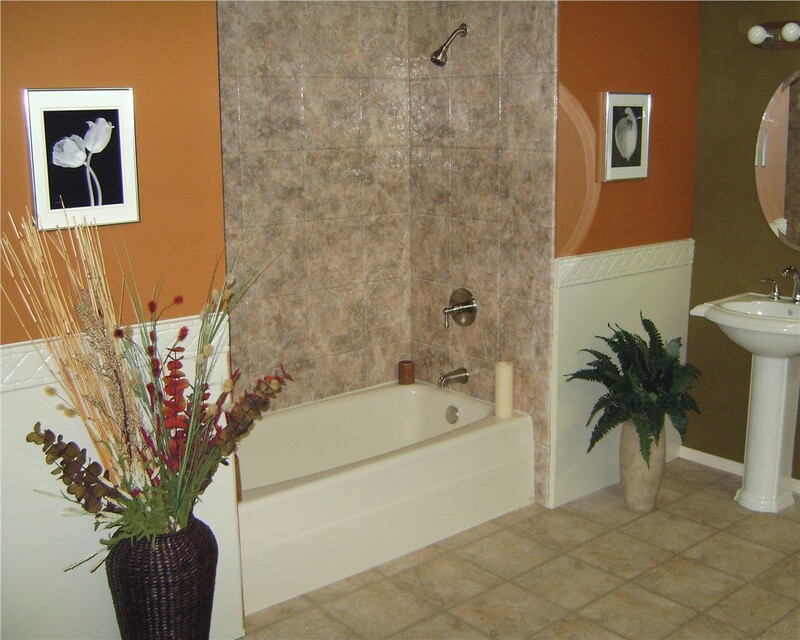 Our BBB-accredited business will help you design a stylish bathroom, all while speaking with you about your concerns, so we can help you choose bathroom features that are beautiful, functional, and affordable. 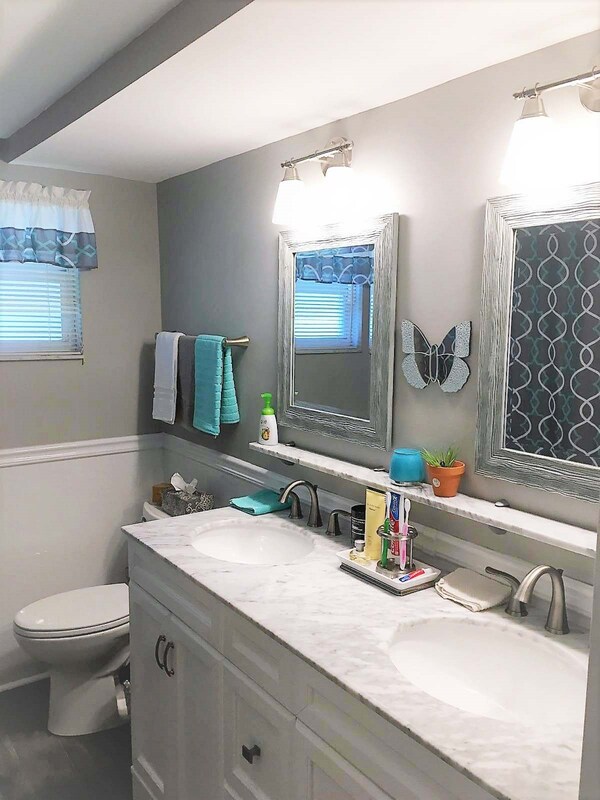 When your bathroom is full of beautiful features you love, you’ll find yourself looking forward to using it before work and at the end of a long day. However, it is important that your bath is functional too. We specialize in offering both. Bathtub Replacement: With custom-built Luxury Bath liners, we can replace your tub by covering it with high-quality acrylic in as little as a day. Shower Enclosures: Free up some space in the bathroom, and get that spa-like look you’ve always wanted with a shower enclosure that features a glass door. Conversions: If you’ve got a tub or a shower you don’t want, choose a conversion. 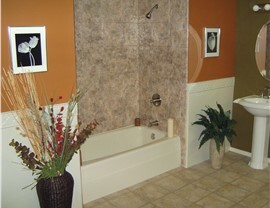 Our remodelers can provide you with a conversion solution that allows you to bathe your way. Walk-In Tubs: Seniors and those with mobility issues can remain independent in the home longer with a walk-in tub that features a swinging door and a low threshold. 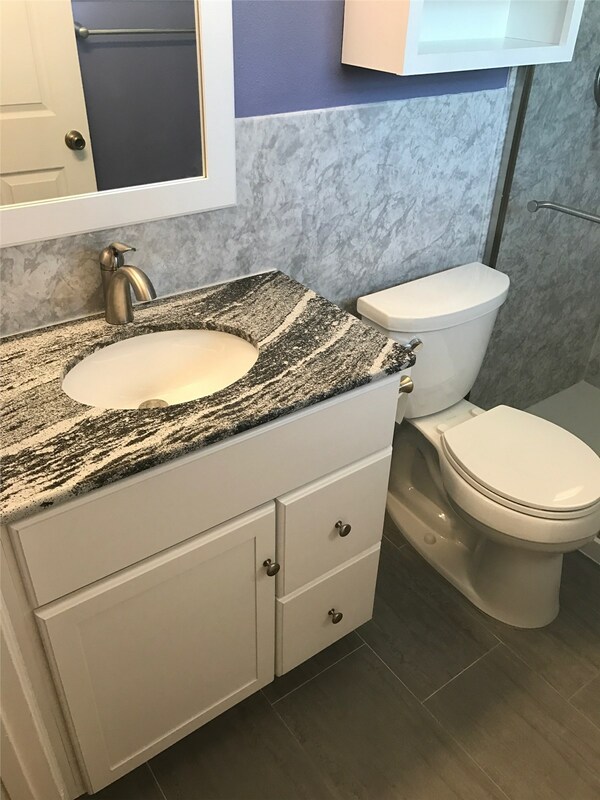 Being able to visualize exactly how Luxury Bath of Tampa Bay can transform your bathroom is the best way to get excited about it. Not only can we provide you with a free estimate, we can also schedule a free consultation. That way, you can see exactly how a remodel will look in your home. Give us a call, or fill out our online form to schedule your free consultation today!